It's been roughly 18 months since Armadillo Ale Works sold its last keg of beer, but after signing on with Andrews Distributing in April, the company is officially back in action and ready to release a brand new brew as it re-introduces itself to the North Texas market. Honey Please (~5.2% ABV) is in the tanks and fermenting away after being brewed last week at North Texas Brewing Co. of Grapevine. Made with honey malt, wildflower honey and mesquite beans, it follows the lead of other Armadillo products like Brunch Money, Quakertown and WunderMelon in being a beer that incorporates a unique set of ingredients. Of course, reading over the list of what goes into the beer, you may also be asking yourself, "What in the world are mesquite beans?" It turns out founders Yianni Arestis and Bobby Mullins weren't all that familiar with the beans either, prior to creating the beer's recipe. "My dad just happened to mention the beans in passing one day," said Mullins. "He asked if I'd ever heard of mesquite bean wine, since it was something that my great grandmother used to make back in the day. I was like, I don't even know what mesquite beans are!" The beans themselves grow in pods on mesquite trees, but most Texans are probably more familiar with the wood of the tree and how it's used to smoke meat. Were you to crack open a bean, though, Arestis and Mullins say you'd be met with the "crazy good" smell of fresh-baked cookies made with a mix of cinnamon and spice. Based on that, the pair knew it was something they wanted to try and use in making a beer. that finishes with a faint bitterness (© Brian Brown/Beer In Big D). "Once I started looking into the beans, I found out that the lining of the bean pod is mostly made up of sugar," explained Mullins. "I thought if I could get that converted so the yeast would feed on it, I might have something to work with." 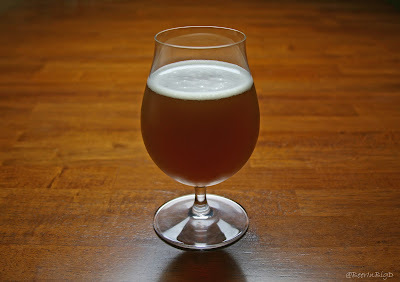 Judging by a test batch I sampled, the flavor elements in the beer come together quite well. Honey leads in both flavor and aroma, but there's a nice balance between the sweetness and the spice that maintains from start to finish. 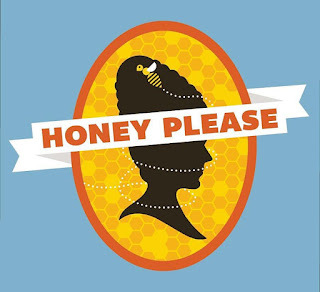 Honey Please is an easy drinker as well, with its lighter body and refreshing nature seeming to fit right in with Armadillo's long-term vision for the beer. "We originally designed the recipe to be a bigger, high-ABV beer that was going to be a one-off limited release," said Arestis. "Eventually, though, our thinking changed and we decided we wanted it to be one of our core beers, so we dialed down the ABV and made it more sessionable. Based on that, while the beer will be draft only at first, our goal with Honey Please is to have it be the kind of beer you'd want to pick up in a six-pack when you go to the grocery store every week." As for when you'll have a chance to try it, a complete schedule of launch events is provided below. From there, look for Honey Please to be available on tap at select bars and restaurants throughout the Metroplex. East Side Denton - 6 p.m. - Official launch party. The Bearded Monk - 6 p.m. - Special tapping for growler fills only (no on-premise pours). Craft and Growler - 6 p.m. - Dallas Launch Party. The Bearded Lady - 6 p.m. - Ft. Worth Launch Party.